Website for young people, on the occasion of the Web's 20th anniversary. CERNland has been developed to bring the excitement of CERN's research to a young audience aged 7 to 12 through a range of films, games and multimedia applications. The HST Programme is funded by CERN and is organised in the context of the educational outreach programme of the Directorate Services Unit Education Group. Since 1998, CERN has been organising a yearly 3-week summer residential programme for high school physics teachers throughout the world. It's an opportunity for physics teachers to meet, network, and update their knowledge of particle physics, its associated technologies and related subjects. It also aims at providing teachers with the newest trends and directions of research in the area of physics. S’Cool LAB is a new CERN facility for teaching modern physics using hands-on experiments, aimed at high school students aged 16-19. The National Teacher Programmes are held in the mother tongue language of the participants from CERN member states. Find presentations, recorded lectures, teaching materials, movies, animations, games, posters, photos, games and ideas for practical activities in the classroom. All this material is available for free when used for educational purposes. 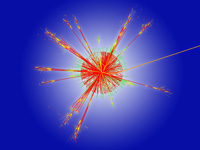 This program is organized by the European Particle Physics Outreach Group. Each year about 4000 high school students in 20 countries come to one of about 70 nearby universities or research centres for one day in order to unravel the mysteries of particle physics. Lectures from active scientists give insight in topics and methods of basic research at the fundaments of matter and forces, enabling the students to perform measurements on real data from particle physics experiments themselves. At the end of each day, like in an international research collaboration, the participants join in a video conference for discussion and combination of their results.